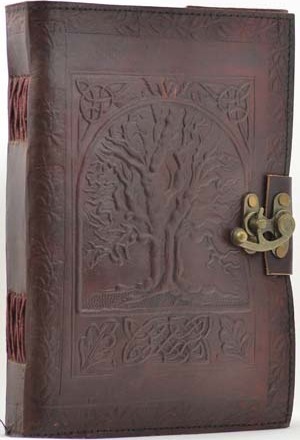 Hand tooled blank leather journal with an embossed Tree of Life and Celtic knot work on both covers. Border embossing may vary. Sizes vary slightly. Leather, handmade paper. 280 pages, latch closure. 7" x 10"